Here on my Patreon page you have the opportunity to become a patron-of-the-arts (my patron! ), and help support all my creative endeavours, including writing and publishing novels, short-stories, illustrations, and crafty merchandise. I am an Australian author and illustrator of fantasy stories for readers of all ages, though my primary project (and a majority of the content that will be made available here) is a five-part fantasy/ adventure series called Dragon Calling (DC for short), and is aimed at the upper middle-grade readership (10+ years). 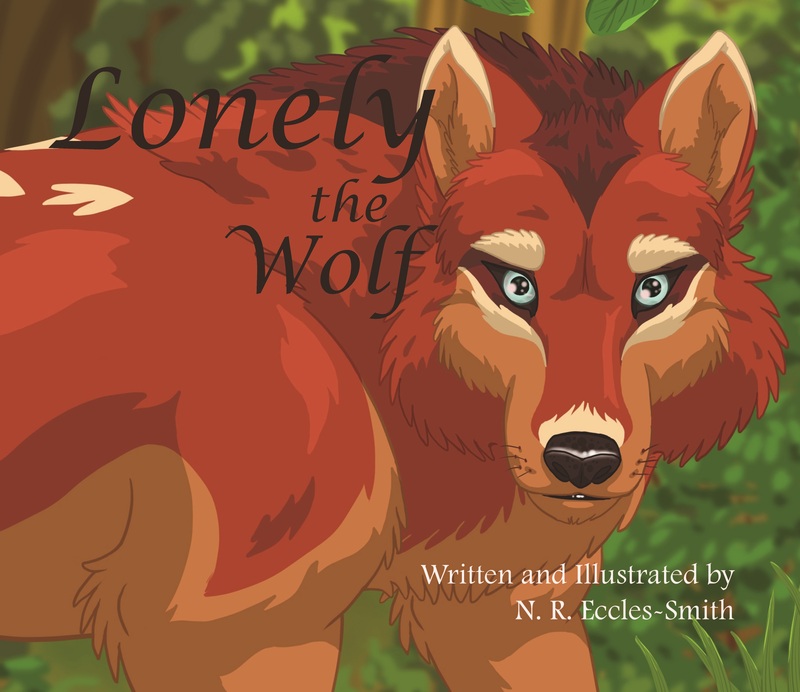 I've also written a few short stories (three of which have received awards/ recognition in national and international writing competitions), illustrated companions guides (for the DC series), and, more recently, a yet-to-be-published illustrated children's book (complete with 15 full-colour pictures) called Lonely the Wolf. Think of it like a subscription service ... and on this page, you'd be subscribing to me! You pick a tier (whatever amount you'd like to pay) and in return gain access to all the gated content I put up on Patreon (based on the tier-offered rewards). Payments are per month (first payment right off the bat as soon as you sign up, and once at the start of every month after that), and you can cancel any time if you need to, as well as change tiers or re-subscribe at a later date. WHY HAVE YOU CHOSEN TO DO PATREON? I am a full-time independent author/ illustrator, which means I earn my wage through sales of my creative works. It has come with some amazing freedoms, but also financial challenges. I am a very private person, so it has taken me a while to build up my confidence to launch on Patreon, but I have finally had the revelation that this could be the perfect platform to offer my fans and benevolent creative supporters a chance to support me as an creator of fantastical worlds, as well as an opportunity to follow me on my creative journey, and be a part of all the things I create! Additionally, Patreon will allow me to be more interactive with YOU (my wonderful supporters), and provides a platform for me to offer you content and insights you won't find anywhere else! SO, never underestimate your contribution, however big or small! WHERE WILL MY $$ SUPPORT GO? HOW LONG DO YOU PLAN TO DO PATREON? This is a first-time thing for me. At this stage it's experimental. Benefits could change, the amount of content will likely flux. I may even add more tiers down the track while I work out what works best. So, thank you in advance for you patience! If all goes well, I hope to be a part of the Patreon hub for a long time, and get the chance to build a fun and rewarding community with my patrons. I understand that things often take time to build momentum, so I am happy to start off slow and steady. But this is an amazing opportunity for people to get on board and take part in my life and works in a way that I have never offered before. It's a chance to stretch me out of my comfort zone (as a writer hermit, lol) and a chance for fans and supporters to boast that they are official patrons to a creative talent. WHAT ARE YOU OFFERING YOUR PATRONS? Patron-only Feed - this will contain things like basic updates on my WIPs, photos of events (or peeks at my life as a writer), sketches from current WIPs or just fun little doodles, character portraits or whatever I end up being inspired to do at the time. I'm also planning on doing an 'Inspirational Quote of the Week' and a weekly 'Fun Fact' (some trivia about me as a person and as an author). Early access to news and updates - before I post interesting or exciting news on any other social media networks, my patrons will learn about it first! It could be anything from what I'm planning on working on next, to when my film agent emails me any exciting news regarding selling the film rights to my books! Access to fortnightly Q&A via Discord - Discord is an app that specialises in text and audio communication between users in a chat channel; a chatting platform that has been specially integrated with Patreon! Patrons with access to this reward will be able to participate in Q&As with me and other DC fans. We can talk about all kinds of things: the Dragon Calling series, my writing tips and techniques, favourite movies, pop culture stuff, etc. Personal acknowledgements in future completed projects - This is a really cool reward! Every completed project I do from now on, patrons with this reward will be acknowledged (by name/ nickname) as a supporter of the project (e.g. patrons will be added to the acknowledgements page in a published book). A small monthly surprise gift in the mail! - Who doesn't love getting happy mail! Every month, I will post out special little gifts to patrons who support the tier where this reward is offered. The gifts could be anything from hand-written letters, cute badges, bookmarks, to signed sketches or small printed artwork (all created by yours truly!). Access to unpublished secrets, old artwork, and behind-the-scenes details - this is one of the best rewards I am offering. Me, being a very private individual, am going to give patrons rare access to my old works; drawings from untold stories, facts about plots and characters that never made it into the final draft of my books, and maybe even video tours/ stories of my work space and other personal aspects of my writing world. A signed copy of all future published books and created merchandise - for the top tier supporters I will sign and post out to you a copy of any future works that I complete. This includes paperback books, posters and prints, playing cards, keyrings, magnets etc. If you've never heard of me, or you're not sure I'm the best artist to fit your tastes, please have a wander through my website and get a feel for who I am and what I do. If you like what you see, I'd love to have you become a fellow dragon-seeker and join me as a patron here on Patreon! This is the every little bit helps tier, and I am indeed very grateful for any support you are happy to give. For $1 or more you get access to the Patron-Only feed! The feed will include sneak-peeks, musings, updates, inspirational quote-of-the-week, sketches & other tidbits. A small monthly surprise gift in the mail! Can be signed artwork, small merchandise, personalised letter etc. When we reach this goal, I will create special Character Avatars based on each of the patreon tiers (Foundlings, Wanderers, Adventurers & Seekers), get them done as special edition prints, sign them, and post them out to my patrons!